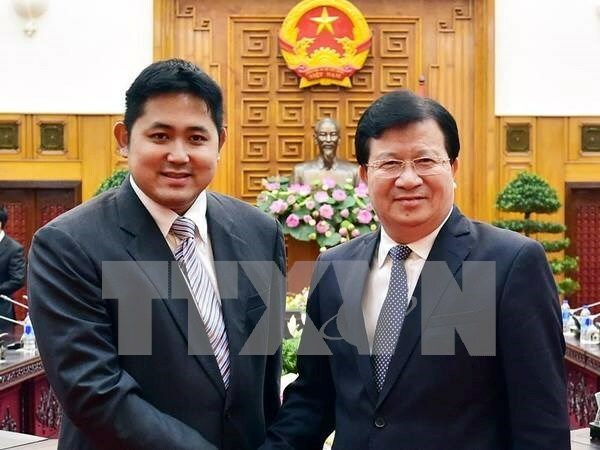 Hanoi (VNA) – Vietnam offers equal treatment and a favourable business climate for all overseas investors in the country, Deputy Prime Minister Trinh Dinh Dung said. He made the remark during a meeting with a group of foreign investors led by Prince Abdul Qawi of Brunei in Hanoi on May 18. Welcoming the guests who are visiting Vietnam to seek investment opportunities, Deputy PM Dung said Vietnam highly values the contribution of foreign investors in the country’s socio-economic development. Its investment law and policies have been improved to open the door wider to foreign investment in all fields, he noted. For his part, Prince Qawi said he hopes that the visit will not only boost investment in Vietnam but also strengthen Vietnam-Brunei relations. The visiting group learned about local investment attraction and economic management policies during the meeting.